Holiday parties – you either love planning them or hate them. Either way, holiday parties are important for your teams, and can work in any budget. Happy Employees = Happier customers! Tony Robbins spells it out well here: http://bit.l...iesonaBudget. 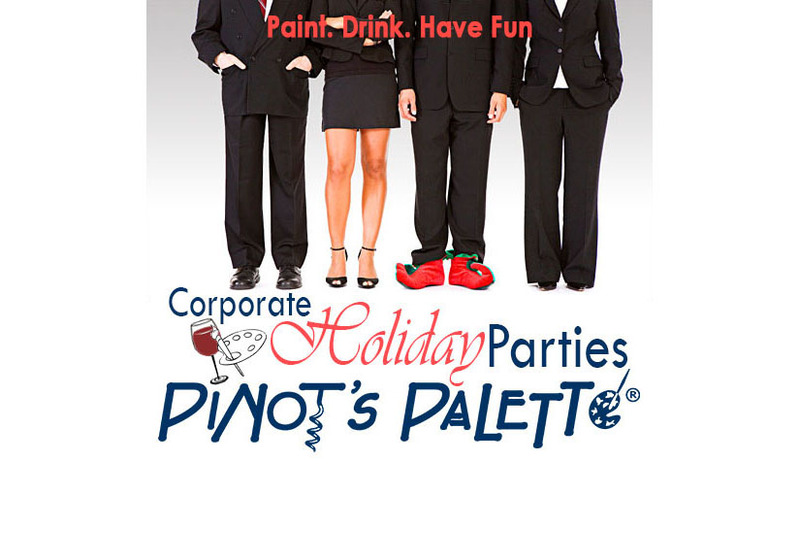 Either way, if you are looking for something fun and different for your holiday party, Pinot’s Palette Chesterfield can help you plan an event to remember. Have food catered in, or have a pot luck, your choice. Ditto with beverages – purchase at the in studio bar, or bring your own. Pick from a traditional canvas for your team to remember the party by. Or choose from one of our different options – wood boards, wine bottles, wine glasses, or glass blocks. If your team is travelling by air, we have tote bags and suitcase friendly sized canvases as well! For more information check out www.pinotspalette.com/chesterfield!